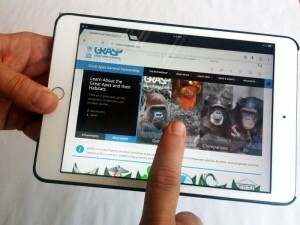 vEcotourism.org is proud and delighted to announce a major project milestone: we’re now integrated into the United Nations Great Apes Survival Partnership’s (UN-GRASP’s) new website! Click on any of the great ape’s species pages and you can now enjoy virtual tours of each great ape’s habitat while learning about keeping abreast of GRASP’s conservation programs and breaking news. Take their new site for a spin here!